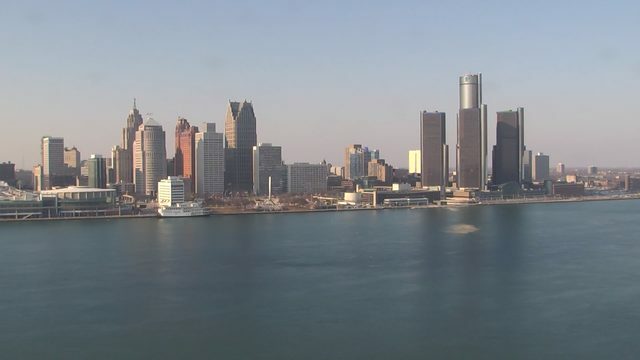 DETROIT - With sights set on two shots of snow, we'll sail through the next several hours with light winds and partly cloudy skies overnight. Clouds will increase toward dawn. Lows will range from the mid teens in our North Zone to low 20s in our South Zone. Thursday starts dry with plenty of clouds before light snow develops in the afternoon and will be around through the evening in spots. Accumulations will be an inch or less, with the higher totals in our South Zone. Highs will finish near 30. Friday starts out a bit milder, in the mid 20s and remains dry under mostly cloudy skies. Highs will touch 32 in the afternoon. Then here comes Saturday. There is now a wider spread in model data as to how much snow we're getting and the timing of it. Right now, plan on enough to shovel, about 3-5 inches in the majority of the area, with flakes beginning after breakfast and wrapping up before sunrise on Sunday morning. Once this system makes it over land (it’s in the Pacific Ocean now), we'll be able to better measure its potential and be more precise with the forecast. Beyond that, bitter cold air arrives Sunday with temperatures staying in the teens and wind chills remaining below zero the entire day! Check out even colder numbers in our 10 Day Forecast.